A new multidisciplinary MSc in Behaviour Change has been launched this autumn at University College London. The first intake of 36 students will be introduced to cutting edge methods, theory and evidence relevant to changing behavior to address the societal problems we face. The course, led by co-Directors Professor Susan Michie and Leslie Gutman, has four core and four of 12 elective modules to allow each student to individually tailor their degree. Modules include intervention design and evaluation, consumer behaviour, public policy, transport, health, and energy use. The Modules ‘Changing Behaviour: Intervention Development and Evaluation’, and ‘Behaviour Change: An Interdisciplinary Approach’ are core modules that focus on the cross-disciplinary thinking needed for behaviour change. Students are learning how to apply the evidence-based frameworks of the Behaviour Change Wheel (www.ncbi.nlm.nih.gov/pmc/articles/PMC3096582/) and the Behaviour Change Technique Taxonomy v1 to develop and evaluate behavior change interventions. The core module, 'Theories and Models of Behaviour Change' looks at why, when and how a behaviour does or does not occur, and how to use that knowledge to bring about change. 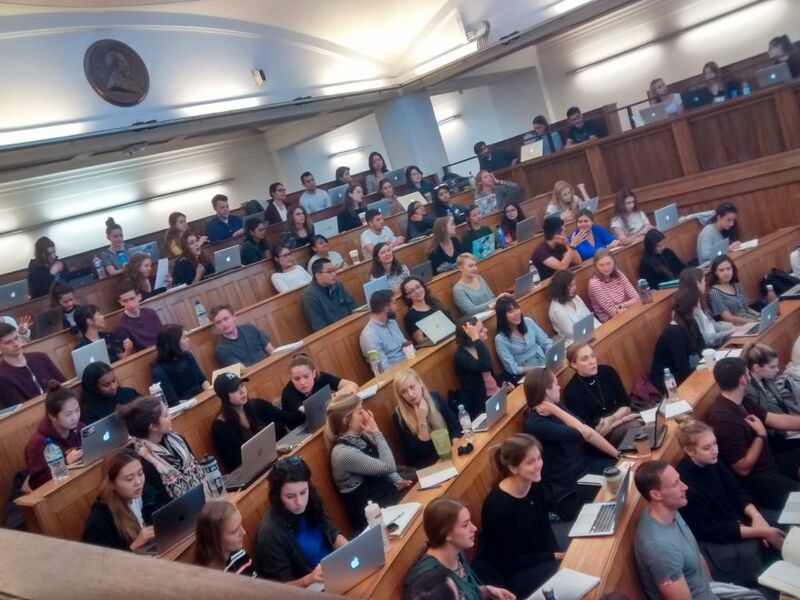 'Research methods and Evidence for Global Health' involves lectures on research study designs, statistical methods, qualitative research methods, and critical appraisal techniques to help prepare the students for their empirical research project. ‘Behaviour change: Health and Wellbeing’ focuses on evidence, methods and theory in relation to changing and maintaining behaviours relevant to health and wellbeing. ‘Transport Behaviour Change: Theory and Practice’ looks at current research, principles and practice in changing transport-related behaviour. ‘The Social Psychology of Risk’ focuses on the forces that shape lay responses to health risks, including behaviour change in the face of such risks. ‘Human Factors for Digital Health’ introduces the particular issues that relate to the design and evaluation of digital health technologies. ‘I am very much enjoying my role as Senior Teaching Fellow for the MSc Behaviour Change. It is great working with such a diverse range of students to explore, discuss and contribute to the development of behaviour change as an applied academic discipline. The students are extremely enthusiastic and passionate which makes for very interesting discussions. Both the formal and informal interactions that I have with students are extremely motivating for me as an academic and support me in the conceptualisation and development of my own research agenda’. The course webpage will soon be updated with information on enrolment for 2018/19 entry later this year - watch this space to find out how to apply.